by the Thomas Organ Company of Sepulveda, CA under license to Jennings Musical Industries of Dartford, Kent UK. 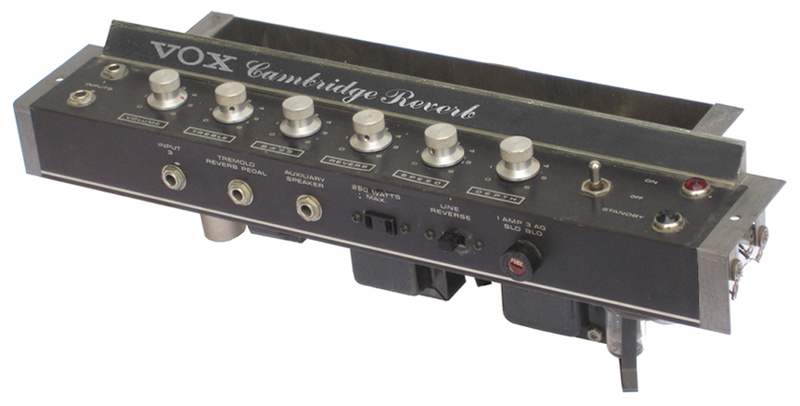 The V-3 Cambridge Reverb and the V-8 Berkeley Super Reverb chassis featured point-to-point hand wired construction. 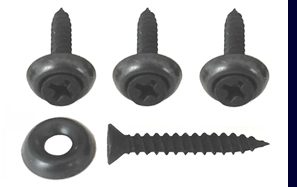 Point-to-point construction implies that the electrical components (resistors, capacitors, etc) are installed and soldered by hand to terminal strips. 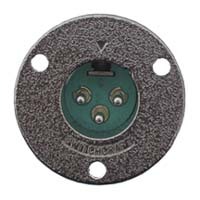 Additional hand soldered wires would be used to connect the terminal strips to the extremeties of the circuit. The quality of the point-to-point hand wired construction found in JMI Vox amps built in the UK was tidy and masterful (see photo at left). Compare this to the view of the open Berkeley chassis near the top of this page. It is my opinion that the design and workmanship of the hand wired Vox amps built by Thomas Organ does not approach the quality one would find in a JMI Vox amp. A two piece steel chassis housed all of the preamp, power amp and power supply circuitry for the V-3 Cambridge Reverb and V-8 Berkeley Super Reverb. The stamped and formed steel chassis pan was the backbone of the chassis. 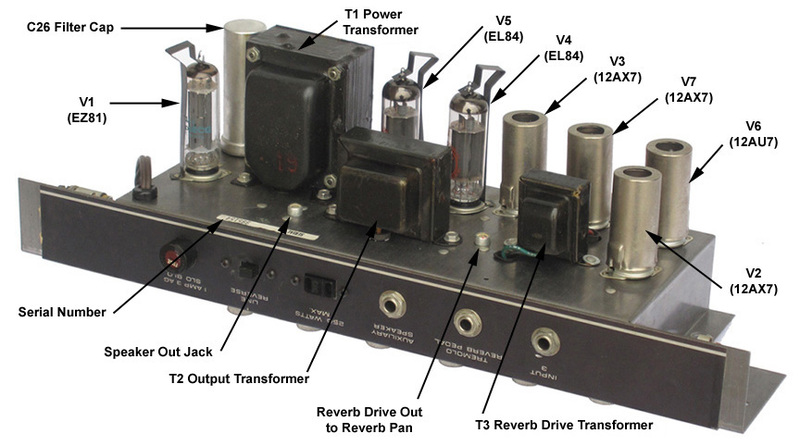 The T1 power transformer, T2 output transformer, main filter cap, tube sockets and the T3 reverb transformer were all mounted to the outside of the chassis pan. Locating the high gain preamp circuitry inside the grounded chassis pan shielded it from stray electronic fields emanating from the transformers. This formed steel chassis pan was also shared with the Vox V-1 Pathfinder and V-2 Pacemaker amplifiers. It was also incorporated into the solid state versions of these amps produced in later years. A 12AX7 tube labeled "V2" powered the preamp stage of the V-3 Cambridge Reverb and V-8 Berkeley Super Reverb. The first section on the tube, V2a, increased the signal coming from the input jacks. 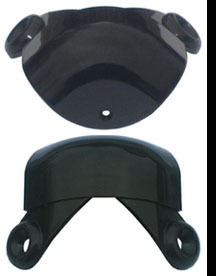 The second half, V2b, was used for gain recovery after the tone controls. 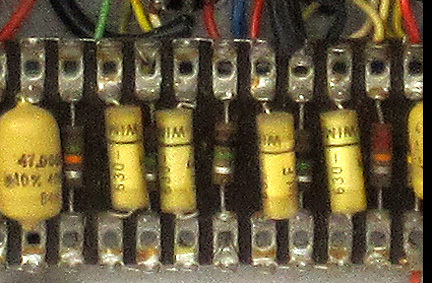 Both halves of V6, a 12AU7 tube, were used in conjuction with transformer T3 to complete the "drive" side of the reverb circuit. Another 12AX7 tube labeled V7a amplified the return signal from the reverb pan and passed it onward to the output stage of the amplifier. 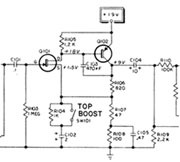 The tremolo circuit was powered by V7b. 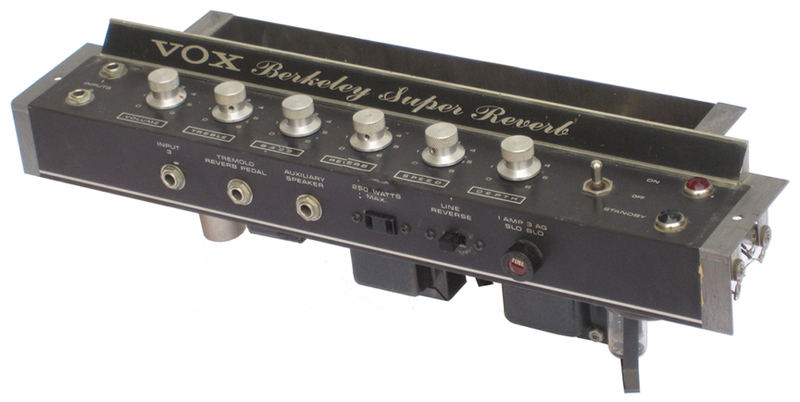 The full length, medium delay reverb pan for the V-8 Berkeley Super Reverb head was mounted vertically to the inside front panel of the head cabinet (see photo at left). 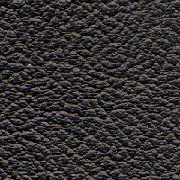 The same pan was mounted to the bottom of the V-3 tube Cambridge Reverb amp where it was covered by a thick pad to acoustically isolate the reverb pan from the speaker. 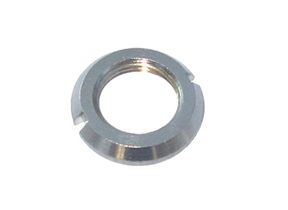 The Thomas replacement part number for the original two spring reverb pan was 23-5002-2. 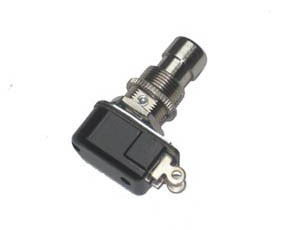 For those seeking to purchase a replacement pan for a V-3 Cambridge Reverb or V-8 Berkelely amp, the modern Accutronics replacement part number is 4FB2A1C. An EZ81 (V1) tube recifier served to rectify the AC output of the HT secondary of the power transformer (T1). 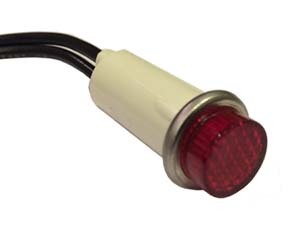 The pulsed DC output from the EZ-81 was filtered and smoothed by a vertical twist lock style filter capacitor (C26). This 350 volt electrolytic filter capacitor had three sections, 40uf, 30uf and 10 uf. The power supply output voltages were 270 VDC, 240 VDC and 150 VDC. Two EL84 output tubes (V4 and V5) powered the classic Vox "cathode biased, no NFB" (no negative feed back) output stage. Thomas Organ published an output power rating of 17 watts RMS for these amplifiers, but based on the 270 VDC B+ plate voltages listed on the schematic, a 17 watt RMS output seems a bit optimistic. Another 12AX7 tube, labeled V3 on the schematic, powered the "long tail" phase inverter in the output stage.